I so was moved by all your responses to my blog post, When You Have the “Why Bother” Blues. I hope you will go back and read through all the responses from women just like you. What you’ll find is that you are not alone! We all struggle. But here’s some good news. Jesus said, “I have told you these things, so that in me you may have peace. In this world you will have trouble.” Yep. Trouble. It’s a promise. But here’s the rest of the verse. “But take heart! I have overcome the world” (John 16:33 NIV). I don’t know about you, but that gets me pretty excited! Hang on to that truth today! Stand on that truth today! Take courage; be confident, certain, and undaunted! Remember, keep moving toward your miracle. 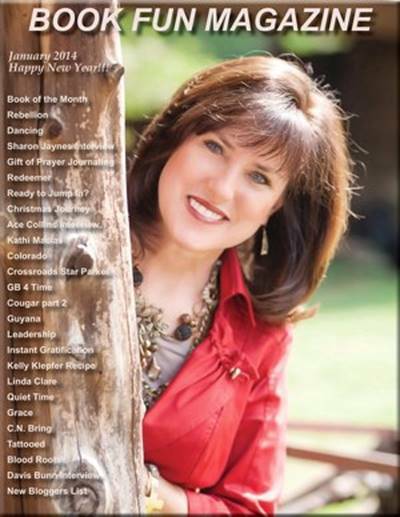 I had a fun interview with Kathi Macias in Book Fun Magazine’s January issue. Take a peek to find out some of the inside scoop! I’ve had several inquiries about the 14-Day Romance Challenge that we did last February (about 25,000 of you). The challenge is now a little e-book on Amazon, just in time to put a smile on your hubby’s face for Valentines Day. Also, the 30-Prayer Dare will begin mid-January. This will be a time for us to join hearts and delve into Praying for Your Husband from Head to Toe as a group. It’s not too late to sign up. I have not received a confirmation about the book that I ordered from you about praying for your husband. I really want to join you as you work through each step but I am so afraid that my order did not go through. Could you let me know, please.